A pleasant Walk in the Garden this day let me see a number of flowering plants to share on this End of Month Review. 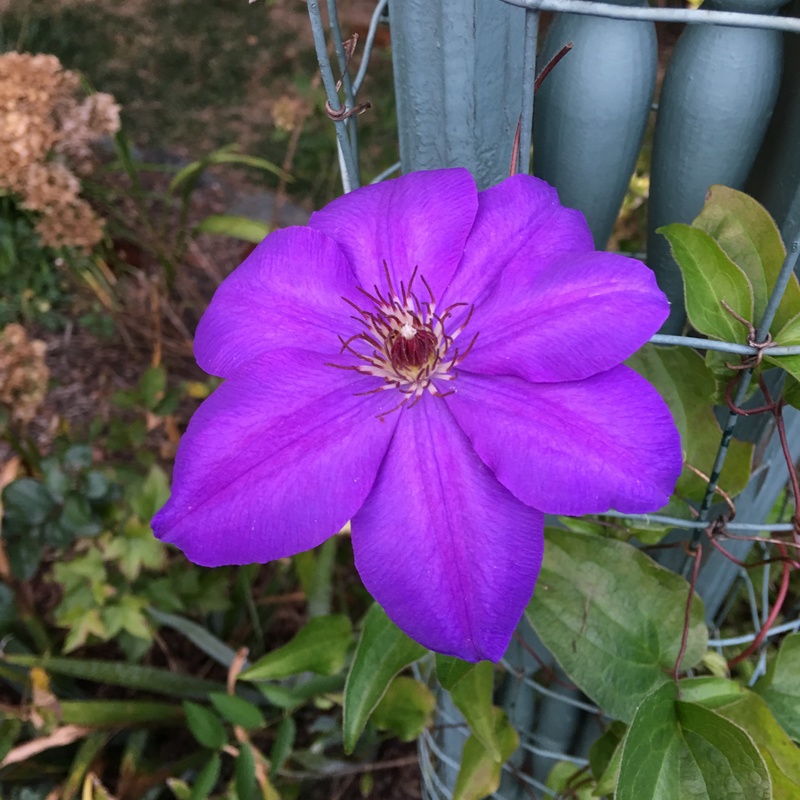 Clematis ‘Ramona’ is strutting its fall stuff. Many of the Encore azaleas are in bloom; here is only a sample. There is still quite a bit of color lingering here at the end of September. And finally, a pleasant surprise this fall has been the growth and first flowering of an October Lantern Lily (Echeandia chandleri). I won it at a raffle at our Garden Club last fall and am delighted to see that it made it through its maiden winter and is blooming nicely. 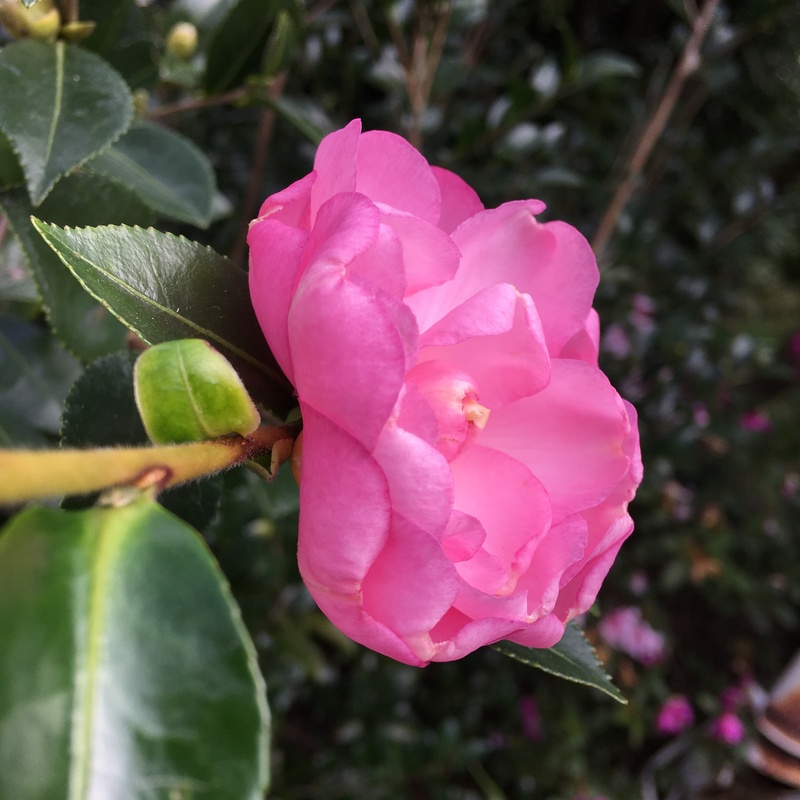 This entry was posted in End of the Month View, Gardening, Photo Challenge and tagged Camellia 'Our Linda', Clematis Ramona, Encore azalea, October Lantern Lily. Bookmark the permalink. Just beautiful and my favorite colors! Thank you! I’m glad we picked your favorite. Lovely azaleas! I have never seen the sort that flower twice in this area. Thanks for sharing! I’m a bit surprised that Encore azaleas (and there are other breeders of reblooming azaleas here now) haven’t made their way to Europe. Perhaps I should look out for them, but our season may be too short. Thanks, Miss Peach. I’m glad you liked our offering this week. So pretty. Our garden is also enjoying this fall, though we here in Michigan could sure use some rain. We’ve been out of the hurricane zone and have missed rain as well. I know it will come…in Michigan and North Carolina. Clematis ‘Ramona’ is really stunning. 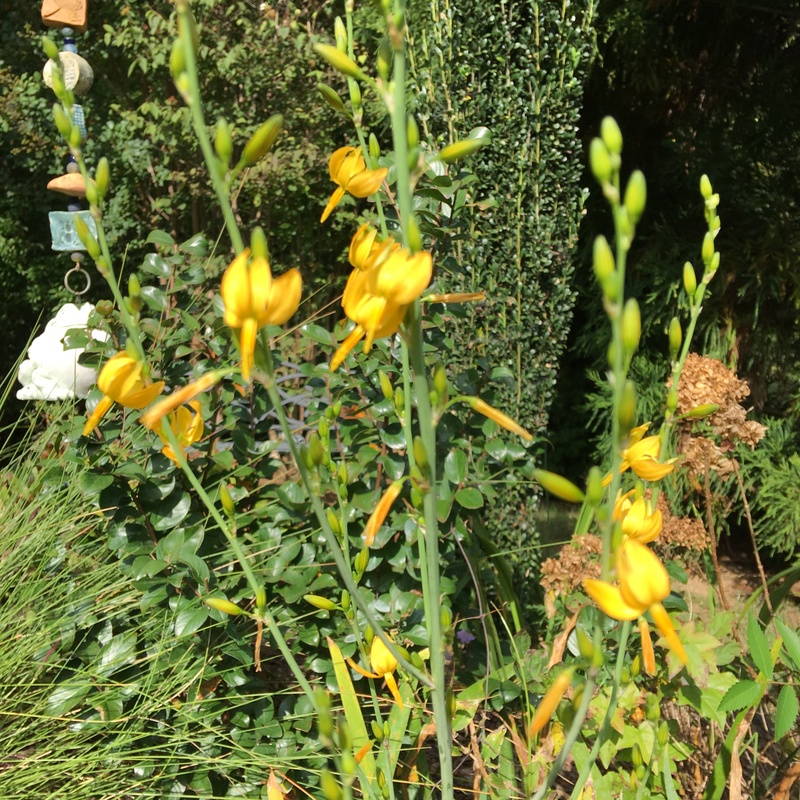 I really like the October Lantern Lily – a unique, interesting plant. Thanks, Jason. It’s a new native plant in my garden.